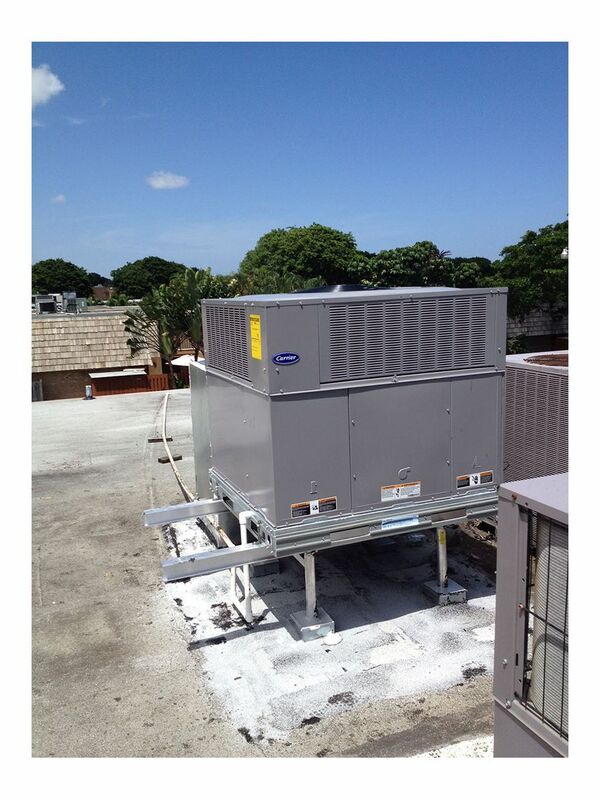 This was a commercial air conditioning installation job we did in Lake Worth, FL. We installed 5 brand new Carrier air conditioner package units on the rooftop of the building, including one new Carrier condensing unit. 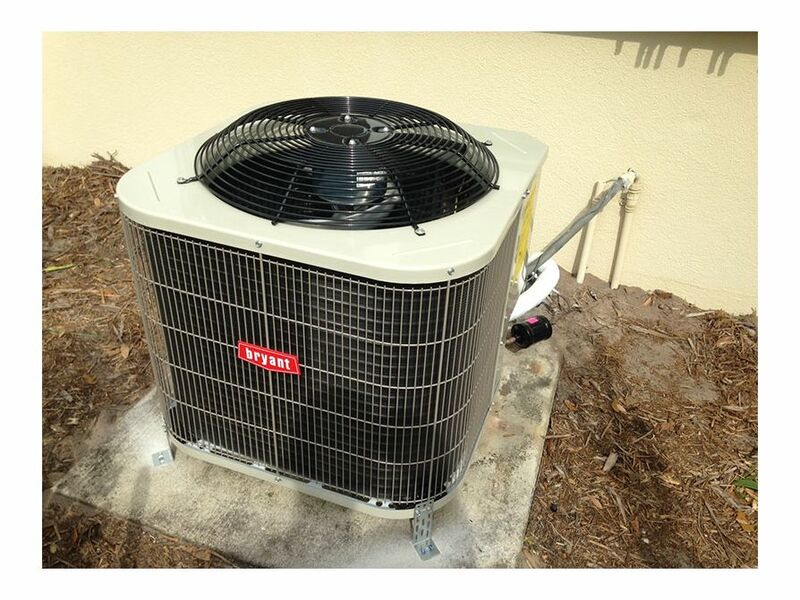 This was an a/c change-out installation done in a West Palm Beach, Florida home. We installed a brand new 14 SEER 2 ton Bryant central air conditioning system. The air handler was installed vertically in the closet and the condenser was a ground installation. 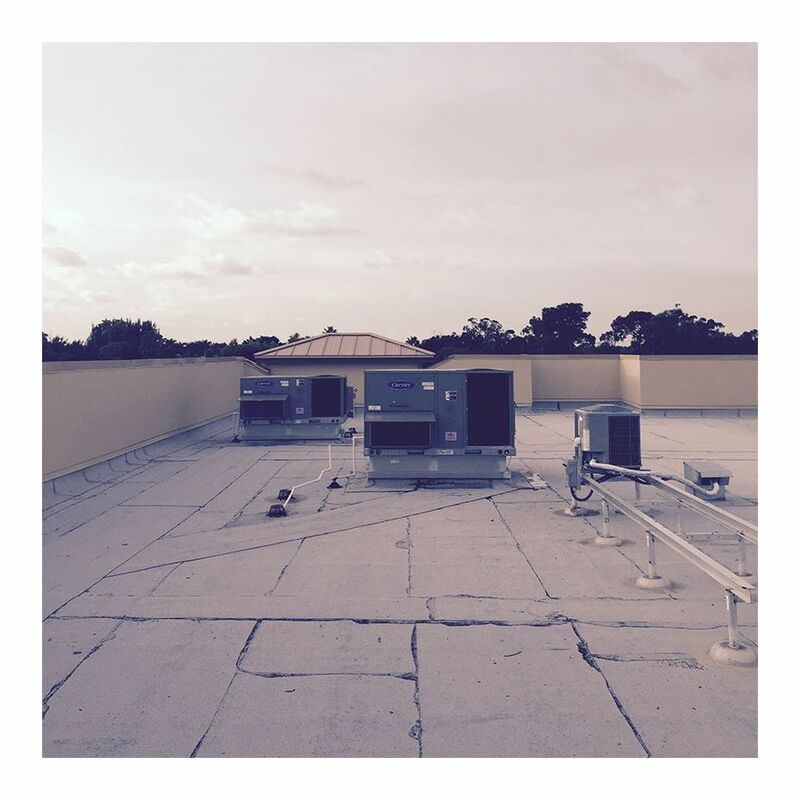 We installed a brand new 3 ton Carrier package unit air conditioning unit on the rooftop of a town-home in Wellington, Florida. The installation of the ac unit was a success. Roof curb and duct covers were installed at ease. Here's one of our recent installations in West Palm Beach, Florida. 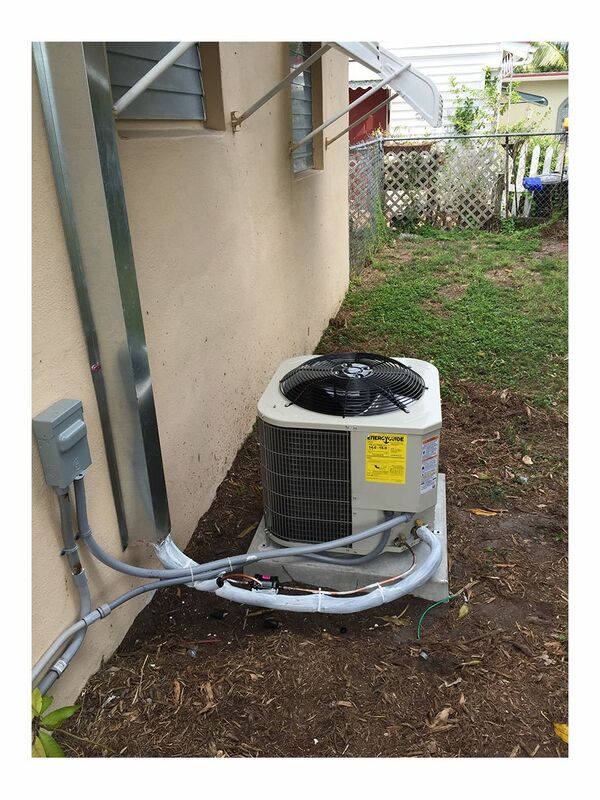 We did a complete a/c change-out, both the condenser and front return air handler were replaced. We installed a new 2 ton Bryant 14 SEER Air Conditioning System. The front return air handler was installed in the closet, and the condenser was a ground installation. A new digital 1H/1C LuxPro thermostat was also installed, along with a water sensor float switch, and 16 x 20 air filter. Existing air handler stand, existing refrigerant lines, existing electrical/wiring and existing condenser concrete pad were used.